Watching a dancer is a spiritual experience. It can be life changing to see another human being with flesh and bones like our own (well, almost!) defying our assumptions of what we thought was physically possible while communicating through every fibre of their being. Watching Californian dancing prodigy, Gavin Morales, perform was one such experience. I have never seen such power and intensity of communication coming from a 10-year-old boy. It was both challenging and incredibly moving. Some people are born to dance and I do not say that lightly. I strongly believe that I was born to sing, simply because I know my life would feel empty and meaningless without it. Having spoken to Gavin and his father though the wonders of Skype, I am convinced Gavin is born to dance. Not least because he never stopped moving for the entire conversation! But more so because of the way his face lit up every time he spoke about his dancing. As eloquent as he was, I believe Gavin’s mother-tongue is movement. Let’s establish before we go any further, that Gavin Morales is a world-class dancer and almost certainly one of the most competent boy dancers performing now. He has won multiple awards for his talent which have resulted in opportunities that most professionals could only dream of. As much as Gavin has had some amazing opportunities and clearly is blessed with an incredible natural talent, much of his success is down to a level of hard work and dedication which is staggering to see in such a young boy. Furthermore, Gavin is coached by some of the top professionals including Jade Hale-Christofi – a graduate of the Royal Ballet School in the UK and choreographer of Take Me To Church performed by Sergei Polunin. Jade is currently Gavin’s ballet and technique coach, helping fine tune Gavin’s incredible talent. Gavin says that Jade is ‘an amazing male role model’. “Seeing someone else express feelings we all hold inside somehow makes it feel as if he’s released them on our behalf. I wish I could go and dance the angst out sometimes! Though Gavin has never met Sergei Polunin, he is his biggest professional inspiration, not only for Sergei’s strength and incredible technique, but because Gavin has been described by many as a ‘young Sergei’. One of Gavin’s dreams is to meet Sergei and perform Take Me To Church with him. 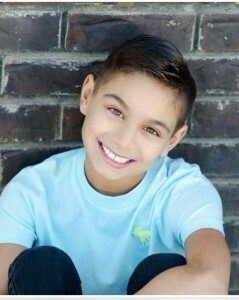 Gavin is competent in many dance genre’s including ballet, lyrical, contemporary, open, and jazz. As a rare, left footed dancer, Gavin has had to work extra hard on his right side but, as a result, is now equally at home on both sides. You could say he now has two right feet as opposed to two left feet! So we might say that if there had been no Mackenzie Morales, there would be no Gavin Morales! It is very rare to have two such competent dancers from the same family, especially considering that neither of the dancing siblings’ parents are dancers. Without the support that they enjoy from their family, it would never have been possible for Gavin and MacKenzie to come so far. Having danced as a boy myself, I was saddened though by no means surprised to hear that Gavin endures a lot of bullying. Most of this is through social media where he has to put up with a lot of unsolicited criticism at best and at worst some cruel remarks from envious haters. As always, I would strongly encourage you to take a moment to encourage Gavin through positive comments as much as possible. Please don’t underestimate the difference it can make! Gavin emphasised some of the people that have inspired him to be a better dancer. Gavin proudly displays his much earned awards! Christina Lyon is founder of Gala de Danza. She invited Gavin and his sister McKenzie to perform at Gala de Danza in Cabo San Lucas Mexico in 2014 with these amazing professionals: Misty Copeland, Hee Seo, Maxim Beloserkovsky, Marlon Dino, Irina Dvorovenko, Qi Huan, Lucia Lacarra, Brooklyn Mack, and Gillian Murphy to name a few. They were just asked to come back in 2015 to perform again. Chris Todar was Gavin’s first lyrical teacher and huge influence on his success. Last year Chris had an accident that left him unable to teach and a large temporary void in Gavin’s growth. He has since latched on to others for that needed training and inspiration. Chris choreographed the solo The Face that went viral when Gavin was 8 years old. 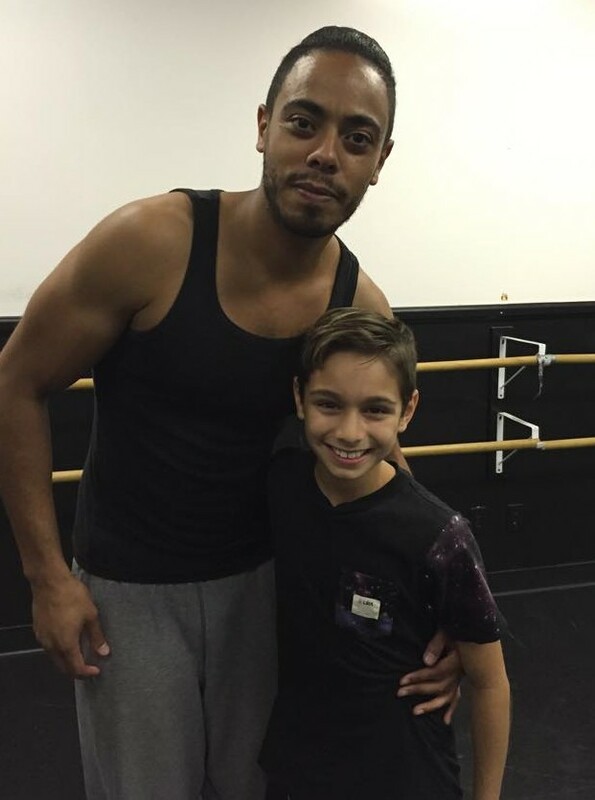 Derek Piquette is in Gavin’s eyes one of the best male teachers/dancers he knows. Derek choreographed an amazing solo for Gavin this year Turn To Dust and will soon be known by the world for being on this years So You Think You Can Dance. 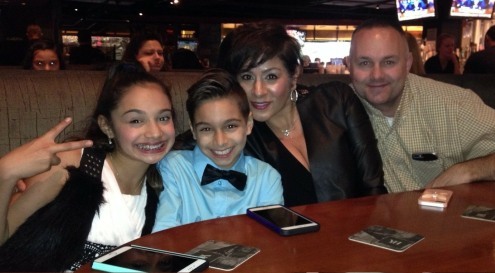 Tiffany Burton Rojas is Gavin’s current dance teacher. 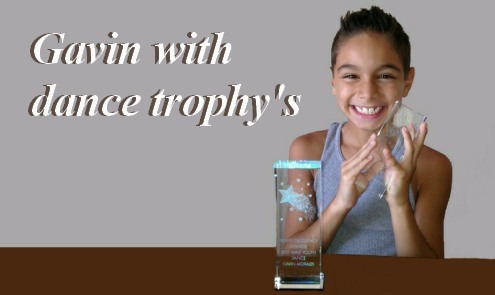 She has played an amazing role in taking Gavin’s talent to the next level, not only through her training, but with her life experiences as an amazing young dancer/actor. And so I conclude that here is a boy who was surely born to dance. It is clear that to deprive him of dance would be a cruel prison for Gavin as well as a crime against the future of dance! I am sure you would like to join me in wishing Gavin all the very best in his career. We will hopefully be hearing much more from him as he continues his exciting journey in the world of dance.